Rated 5 out of 5 by kchc0411 from Liked the original and love the Christmas twist Lots of fun like the original. The bugs are cute and I love all the different things they wear. Always a challenge and I haven't even tried the harder levels. 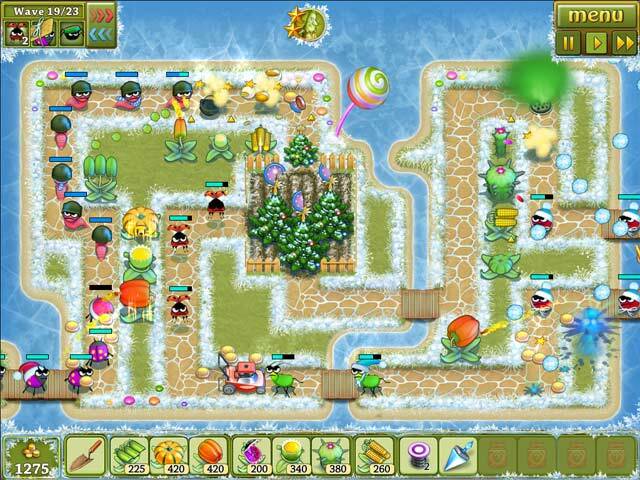 Great strategy/tower defense type game....you will love it and will always bring it back out and play again after you finish it or might try the harder level. I recommend it! Rated 5 out of 5 by 3216Lawn from Three years, I Think I've been playing Garden Rescue again and again. It speaks to my level of competence and is nice and easy for my age!! lol....I'm 73. I don't stress over the 'challenge' of it which is great for me cause I CAN become frustrated very easily but I NEVER give up!! Rated 5 out of 5 by Purdycat from Tower Defense Love this game more than Plants vs Zombies. Have replayed it sooo many times. Wish they would bring out another one. 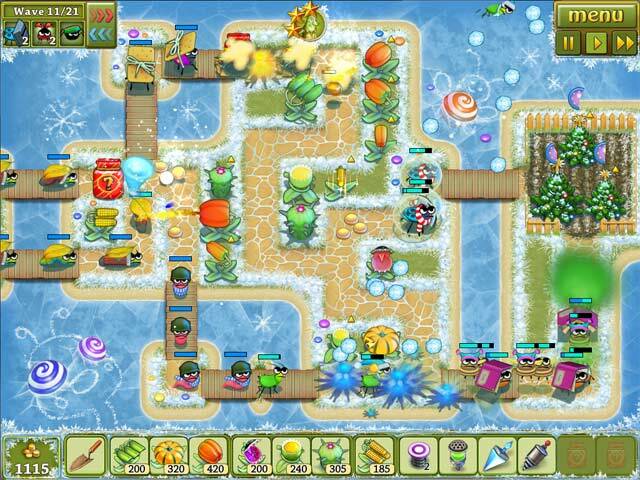 Rated 5 out of 5 by TiddK from Even better than the original This is the special Christmas edition of the tower defence strategy game "Garden Rescue". It is very similar (same bugs, same strategies, same range of difficulty), but there are some improvements too: 1. 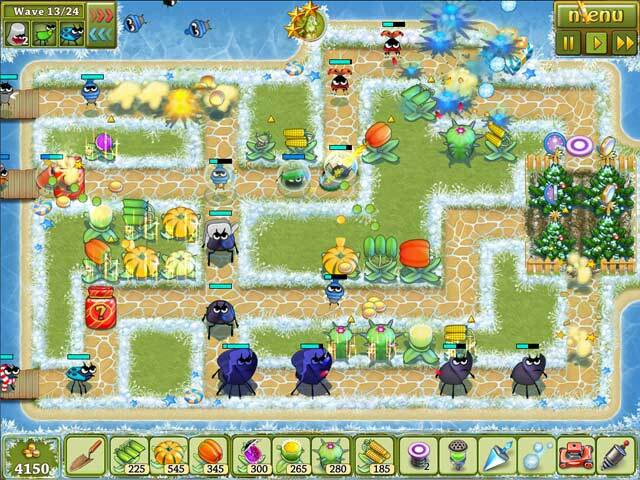 Some bugs are dressed in comic little coats and scarfs as they advance through your snowy frosty garden. 2. You don't have to click on your strawberry's coins - just swipe the mouse over them; you also sometimes get scatterings of coins as bugs are killed. 3. There are new 'special weapons' in addition to the bomb, spring etc: hailstones, freezes, mini tornados, and a strange green smoke that - if you plant it just past a few weapons - causes some bugs to turn around and walk into the weapons fire again. If you liked Garden Rescue, you'll love this! Rated 5 out of 5 by peacecatman from Surprisingly Challenging Really fun and mind provoking, you really must think things out to win, timing is important and yet still very fun. Rated 5 out of 5 by katepkauai from Funny characters & light challenge I've owned this game for awhile, & keep returning for a quick level or two. It's an effective diversion when i'm overloaded.. seems to give me a reset. Rated 5 out of 5 by Jynkszee from Great Tower Defense Game I thoroughly enjoyed this game and wish there were more like this one. I also enjoyed the game variation they threw in every so often where the towers were limited to specific types and accessed at random intervals. Nice changeup. Well worth the price! Rated 5 out of 5 by anne_tirao from ''fun and action game!'' 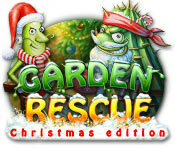 garden rescue chistmas games! !